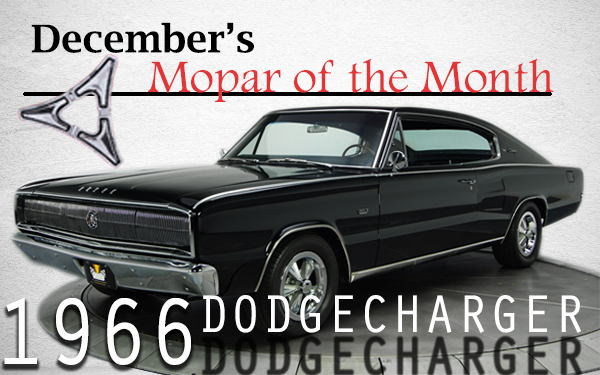 The first generation Charger made it's debut in 1966 sharing similar chassis styling with the Dodge Coronet and Rambler Marlin. Under the hood, a variety of engine options were available to customers. Standard was a 318-cid V8 (230hp) connected to a three-speed manual transmission, but customers could also pick between three other V8 options: 361-cid (265hp), 383-cid 4bbl (325hp) and a 426-cid Hemi (425hp) which all were connected to either a four-speed manual or Chrysler's optional Torqueflite automatic. On the inside, numerous exclusive features set the Charger apart from other vehicles of it's time. In the front, the instrument panel consisted of four round bezels and six gauges beautifully lit up by electro-luminescent lighting (EL) creating a soft glow. This, along with a simulated woodgrain steering wheel, a 0 to 6000 tach, a 0 to 150 mph speedo as well as alternator, fuel and temperature gauges came standard. Moving to the rear of the vehicle, the Charger included Chrysler's new clamshell seats set into curved molded shells and finished with beautiful bright moldings. The full-length center console extended to the rear of the cabin and was dressed in chrome, aluminium and carpeted on the sides. With the rear seats folded down, the area from the back of the front seats to the security panel measured 4-1/2 feet which was one of the key features of the 1966 Charger.